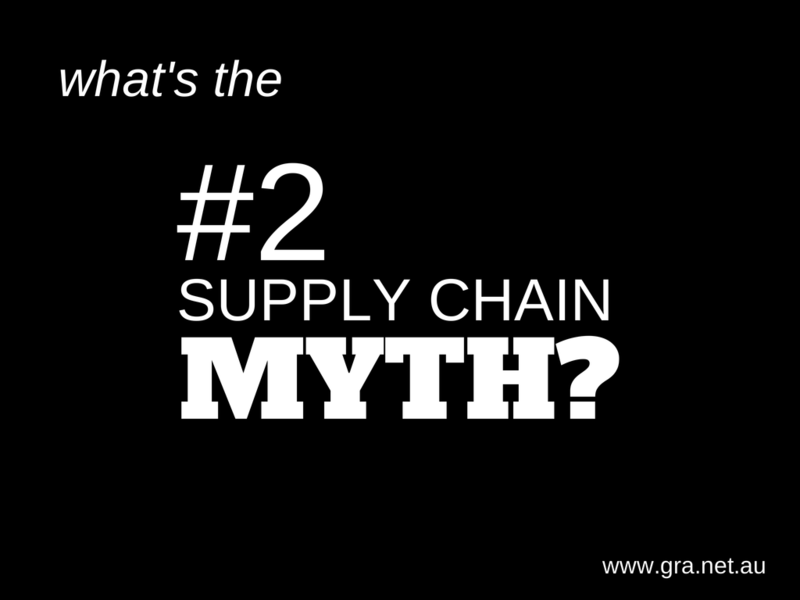 What is the #2 Myth in Supply Chain Management? It is often remarked by executives looking to fill Supply Chain Manager roles that the most important, non-negotiable requirement is for strong functional and technical expertise. On the other hand, skills such as communication, leadership/people management and cross-functional awareness are often weighted as ‘nice to haves’ when assessing candidates. The over-emphasising of these skills relative to other so called ‘softer’ skills is misguided, and requires addressing for any organisation that proposes to utilise their supply chain to drive competitive advantage. Strategic ‘Big Picture’ Capability – It is no longer adequate for Supply Chain Leaders to be narrow, functional experts. In order to participate in the strategic decision making process, they need to be able to think holistically, have a strong understanding of strategy, and be able to anticipate and solve problems at a business level, all while managing supply chain trade-offs. Collaboration – Similarly, the ability to be able to collaborate not only cross functionally but also beyond your organisation with suppliers and customers will provide your organisation with increased visibility, better risk management and more potential sources of innovation. Risk Management – These may include product quality and integrity risks, potential disruptive events or humanitarian risks. As witnessed by events involving garment retailers and OEM manufacturers in Asia, it is no longer tolerable to be oblivious to supply chain risks. Being able to better manage these risks will drive resilience and sustainability in your supply chain. People Skills – Talent shortages are commonly identified as a significant looming barrier to supply chain performance. As such, it is critical that Supply Chain Managers are able to inspire and develop the next generation of leaders and innovators. In addition to skills assessments and catered training, this may involve mentoring and jobs rotations as well as making the supply chain appear an attractive place to work by providing employees clarity of career paths and incentives to develop. Communication Skills – Communication skills are vital. The ability to distil complex supply chain concepts into need-to-know areas or communicate the impact of a decision simply and clearly, especially while explaining the competing trade-offs at work, is often more difficult than understanding the theory behind it. This includes being able to engage in finance terms where required. In a recent Kinaxis blog (Kinaxis - Marketing), the ability to sell projects or initiatives that support organisational strategy, as well as to explain the importance of the supply chain to the CEO and throughout the organisation, was referred to as “marketing the supply chain”. Adopting this perspective could really propel supply chain driven benefits in your organisation. Ideally, it’s a healthy balance of these soft and hard skills that’s required. Where candidates are weaker in one area over another, consider the mix of skills across your team or where you can focus development. Building the right team of people within your supply chain provides a substantial opportunity to lift supply chain performance, often without the considerable investment required by other initiatives.